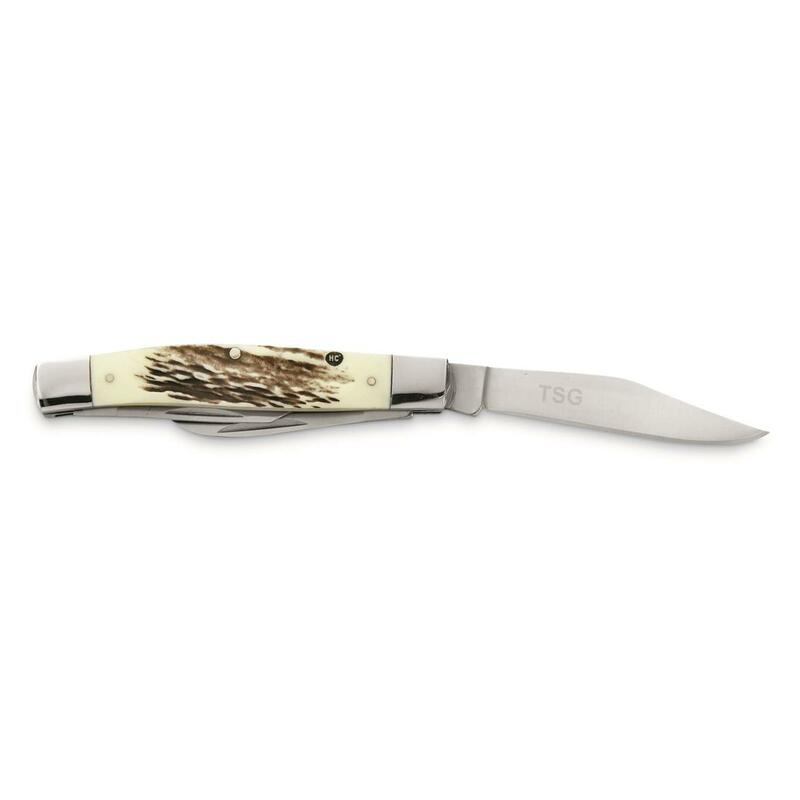 Since 1769, Puma has crafted some of the world's finest knives. Their latest offering is this eye-catching masterpiece that makes quick work of any cutting task. 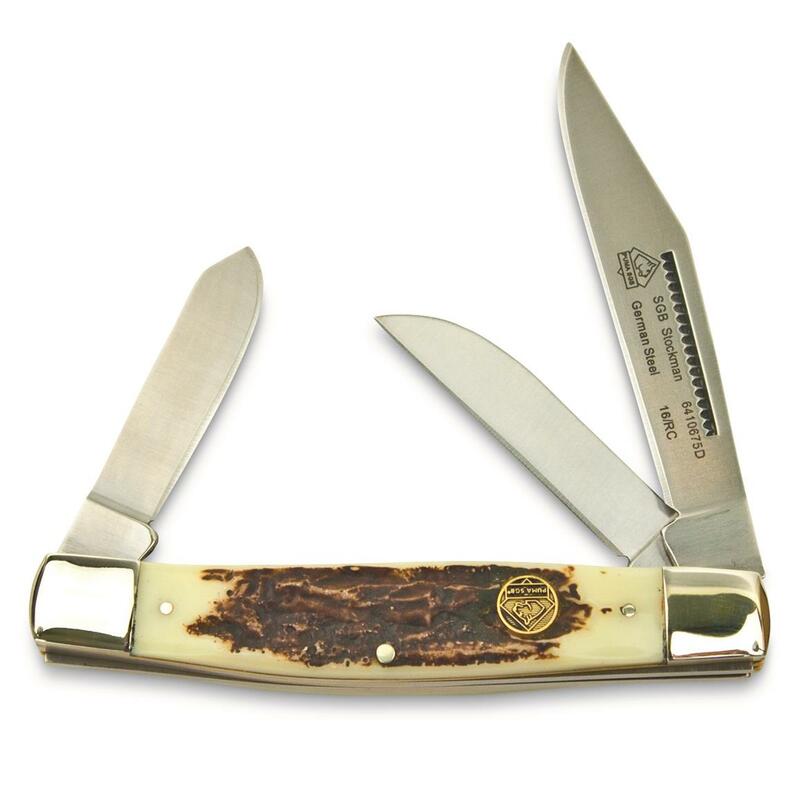 It features 3 blades: a clip-point, spey, and sheepsfoot — all made from 1.4116 German steel that holds an edge nicely. Finishing off the knife is a durable Delrin stag-style handle that not only looks good, but feels great in your hand. Includes Gift tin. 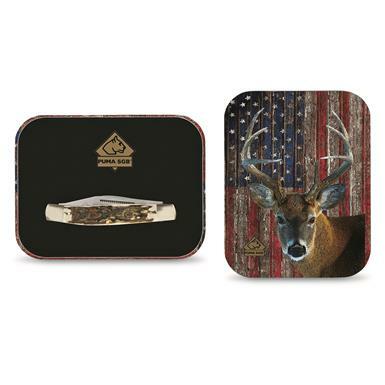 Gift tin measures 5.4"w. x 4"l. x 1.18"h.
Puma SGB Patriot Deer 3-Blade Folding Knife with Gift Tin, 2.4 Blade is rated 5.0 out of 5 by 2. Rated 5 out of 5 by Coolstreet from Super Deal Great little knife. Excellent quality. Engraving a plus! Havalon Piranta Z Folding Blade Skinning Knife, 2.75"